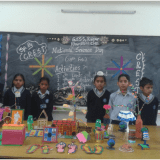 National Science Day 2016 was celebrated in GSSS Raipur Khurd, Chandigarh. 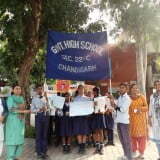 Anti Crackers Rally was organized by Eco-Club Incharge Mrs. Sunita Sharman under the presence of worthy Headmistress Mrs. Bharti Sharma, Headmistress of GMHS-22C, Chd. In this occasion, Eco Club incharge aware the students about the bad effects of crackers. 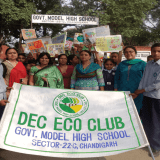 Students indulge a rally alongwith teachers creating awareness as anti crackers slogan on dated 09.11.2015 in area Sector 22-C and 22-D. Related posts: No related posts. 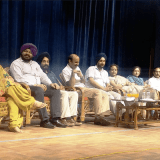 BETI BACHAO BETI PADHAO Day was celebrated under Sarav Shiksha Abhiyan incharge in the school premises in the presence of worthy Headmistress Mrs. Bharti Sharma, GMHS-22C, Chandigarh. In this occasion. Various events like Drawing Competition, Slogan Writing and Debate Competition were also organized under guidance of school teacher Mrs. Sunita Sharma. A rally indulges about creating awareness as BETI BACHAO BETI PADHAO on dated 05.11.2015. Related posts: No related posts. eVirtualGuru.com Education News 28 Aug, 2015 Raksha Badhan was celebrated under Peace Club of school with great enthusiasm. On this occasion Rakhi Making Competition was held. 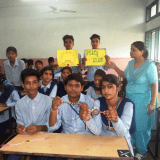 Students of all classes participated and made different types of rakhis. 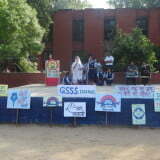 Winners announced by the Judges, the worthy Principal, Mrs. Bharti Sharma gave the prizes to the students. Related posts: No related posts.